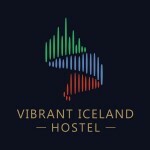 Vibrant Iceland Hostel is a new and modern hostel in the Greater Reykjavík area. We offer premium featured enclosed bunk beds with curtains for added privacy and reading lights in shared dorm rooms. Our custom built bunk beds are both single (90×200 cm) and double (140×200 cm). Our single dorm rooms are 6, 8 and 12 bunk beds in a room and our double dorm rooms are 4 and 6 double bunk beds in a room. Our dorms are all co-ed/mixed shared dorm rooms but we also offer a Girls Only dorm room for female travelers on request. We also offer a premium private room that features two single (90×200 cm) beds and a mini kitchenette. All dorm rooms can be made private for large groups upon request.